I've been waiting three yrs to get my bathroom done and I'm so glad I did! It gave me time to think through every little detail! I had a bit of a moment when I found this vintage bowl in one of my favourite vintage shops in Southwold. I walked around with it whilst on the phone to my wonderfully creative father, explaining my idea to him. His reply was 'yeah, we'll give it a go. What's the worst that could happen?... If it breaks, it breaks'. As you can see, it didn't break. 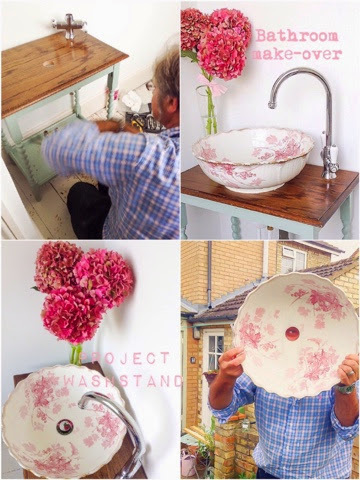 Although both our hearts were pounding when he was drilling the basin! 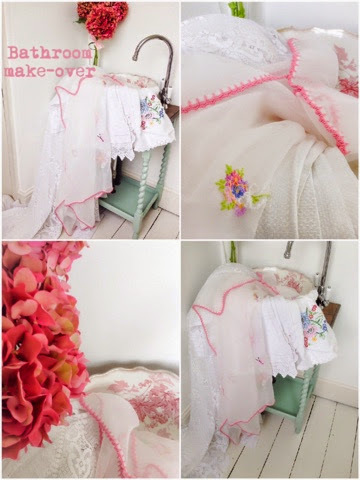 Not a up-cycling job for the faint hearted! I needed a pop-up waste as there is no where to put a chain and plug. The taps came from B and Q. The vintage stand I bought years ago (must of known)! 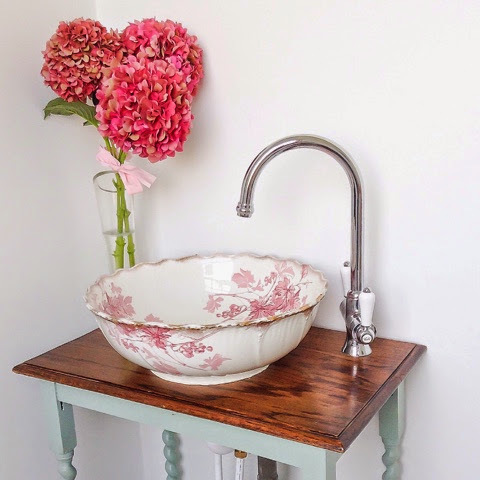 I mixed paint for the washstand, I used Dix Blue and Vert de Terre both Farrow and ball. It is a very close match to the shabby chic door we found under a sheet of ply. I'm just figuring out which curtain to insert inside the stand, this may take me a while! Sneak peak at the shabby chic door. Just love the colour and chipped off paint! 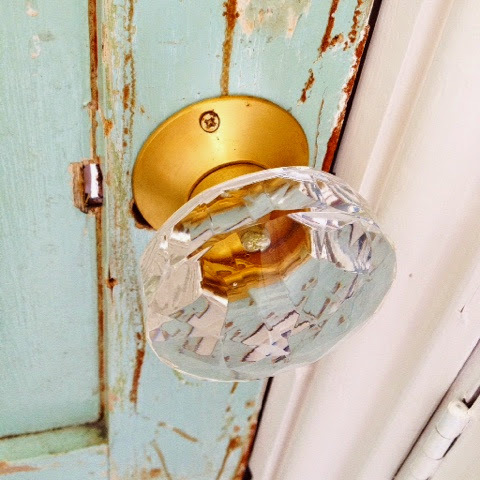 Door knob from Laura Ashley. Can't wait to share more with you soon! Have a great wk end.